GREAT FOR MAKING NICE & NEAT METAL DETECTING PLUGS! EASY TO CARRY ON EXPEDITIONS ? AWARD WINNING SHOVEL! 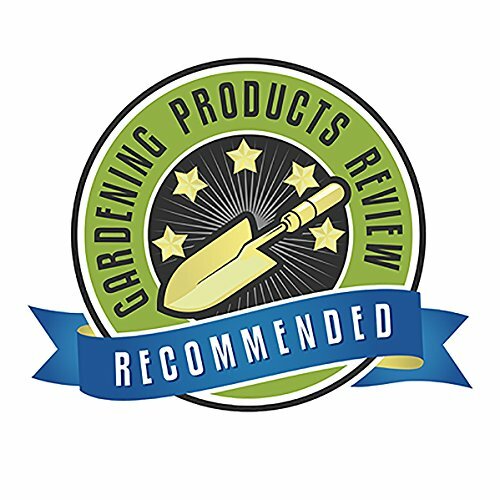 Winner of the Golden Shovels Award by Garden Product Reviews The Root Assassin is excellent for clearing-out an overgrown area of garden, forest or brush. The engineered "bone structure" adds amazing strength and the curved sharpened tip cuts roots easily. 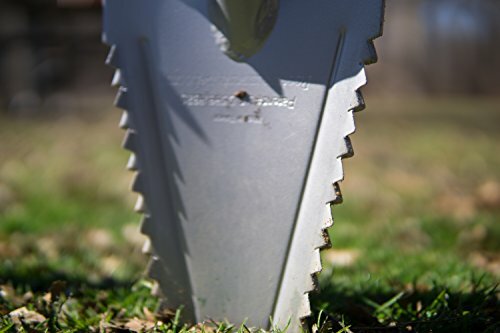 The unique shape of the serrated teeth located on both sides of the shovel is built to withstand the toughest jobs and can be sharpened with a wheel or grinder. The secret of the shovel is the fact that the teeth cut roots when pushing in and when pulling out. The shovel is made of solid industrial grade steel and is overlaid with a sleek silver color powder coat. 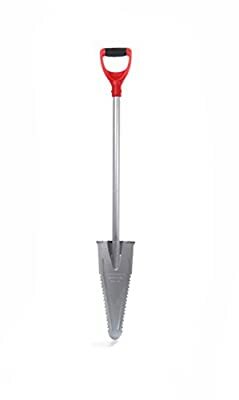 The ergonomically designed steel shaft is topped by with durable solid poly /rubber coated bright red handle for comfort and ease of locating amid the grounds. Weighing 2.2 lbs, it's light enough to be taken along for a long day and yet strong and dense enough to provide the leverage needed to get the job done. 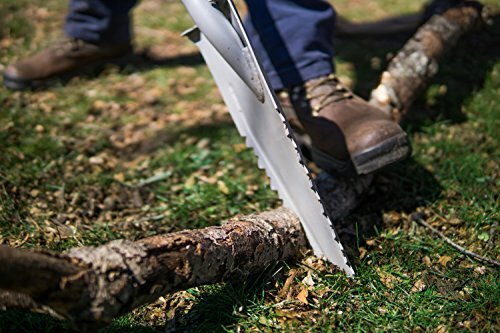 It is an excellent addition to your garden tools. It is the number one gardening tool. It beats all metal shovels. It is the only one of its kind, with the shovel/saw combo. It is the King among gardening tools. (Please do NOT use as a lever; max weight is 250 lbs.) 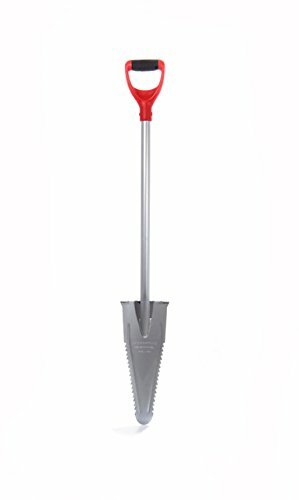 Winner of the Golden Shovel Award by Garden Products Review! THIS IS THE ORIGINAL ROOT SHOVEL - OFTEN IMITATED BUT NEVER DUPLICATED! 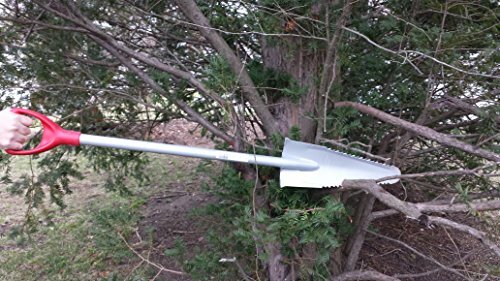 32" Mini-Root Assassin Shovel / Saw ?GREAT FOR METAL DETECTING!? ? Patented All-Purpose Garden Shovel & Saw. 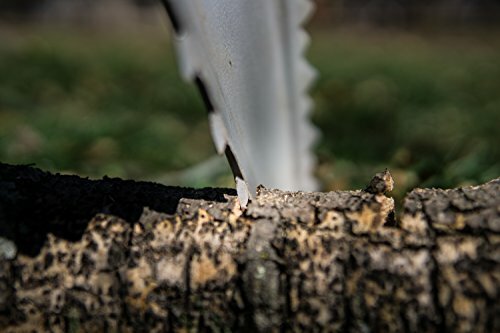 EASILY SLICE THROUGH ROOTS! ? 16 SERRATED TEETH ON EACH SIDE: Cuts While Digging Both IN and OUT ? ONLY 2.2 POUNDS: Makes it Easy to Lift and Easy to Use. ? LIFETIME Replacement GUARANTEE: No Questions Asked!